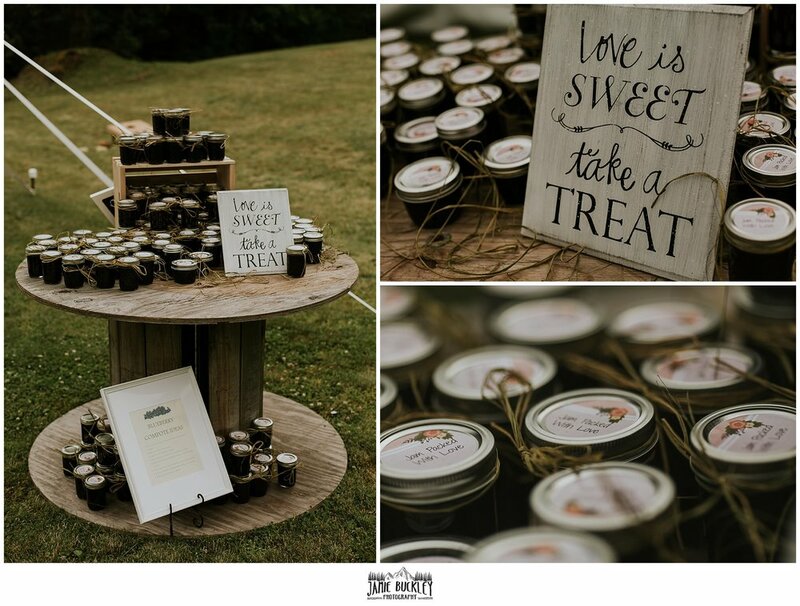 Back in June I had the pleasure of second shooting a beautiful wedding for fellow photographer Rosewood Photography. We drove up into the backwoods of Mount Vernon to the Lake Associates Recreation Club, a stunning gated community with greenery for miles! 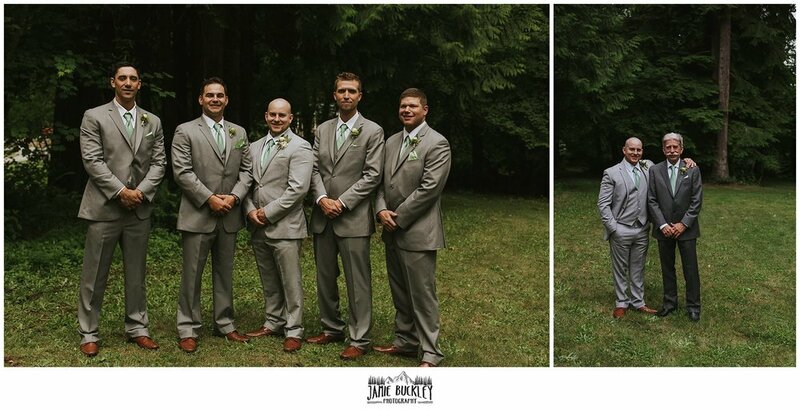 While Karmen went off to shoot the brides I walked over to meet the groom and his party who with three hours til go time seemed in no hurry to get dressed! Though cloudy it was a warm day and I didn't envy them getting dressed into three piece suits, they all looked very handsome though. After he was all dressed up I grabbed Jon and we walked over to the bridal party's getting ready house for him and Jordan to do a first look. Jon was evidently anxious to see his bride and she took his breath away when he saw her. 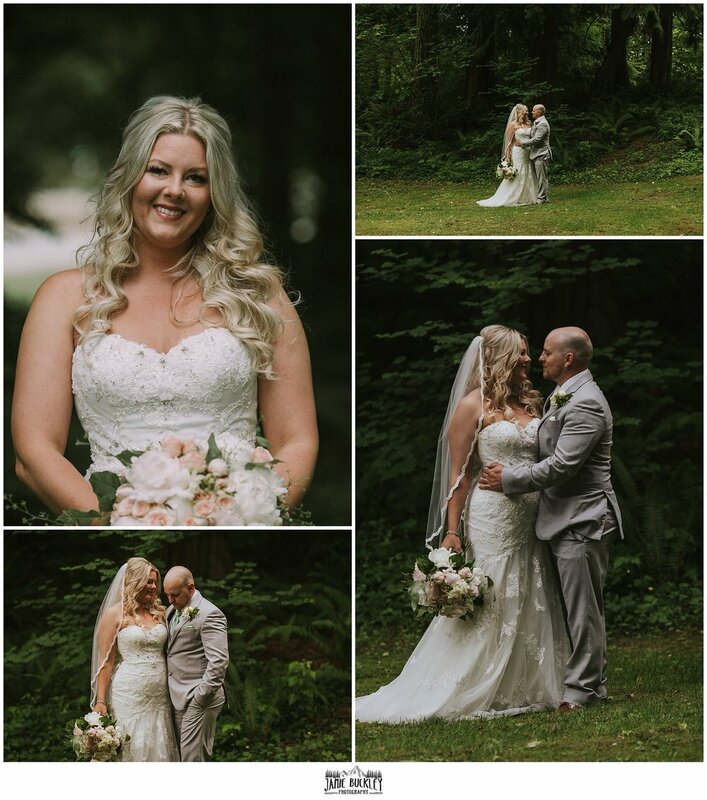 Set amongst the vibrant greens of the Pacific Northwest, Jordan's all white dress really popped and her bouquet was to die for! 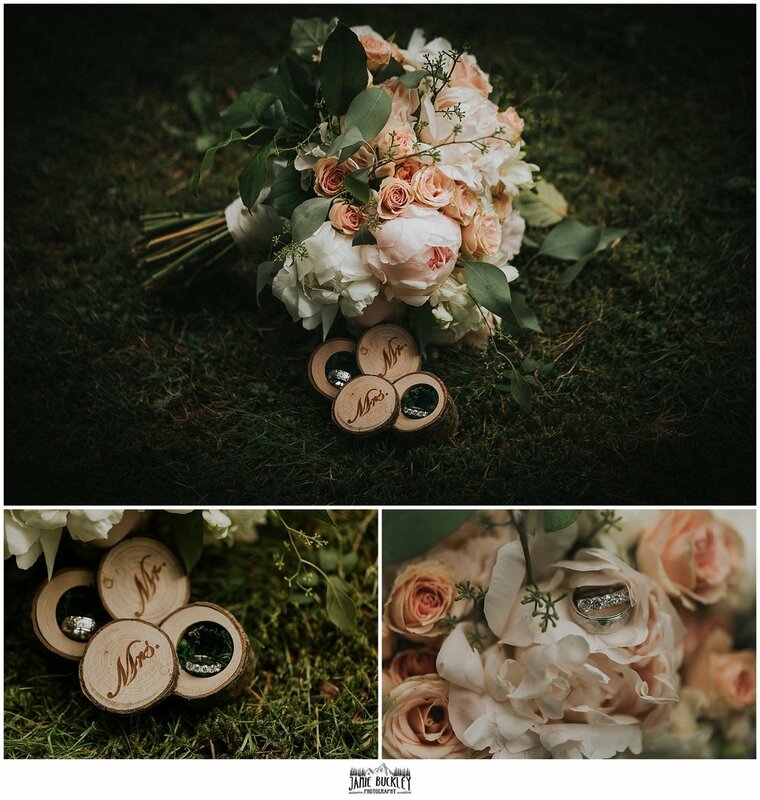 As Karmen was busy doing the family formals I grabbed the bouquet and took some ring shots with it which turned out great, the rings were stored in bespoke wooden boxes that I just had to include. Then it was time for the main event! Which of course was the signal for it to start raining. But nothing dampened the spirits of this party and with a couple umbrellas thrown up, the ceremony began. Officiated by Jon's uncle, the ceremony was a beautiful affair and before long Jon & Jordan each said I do and sealed it with a kiss! From there the party kicked up a notch as food & drink service began with a round of hors d'oeuvres and signature cocktails. Before dinner officially commenced the bridal party was reintroduced and the newly married couple shared their first dance. 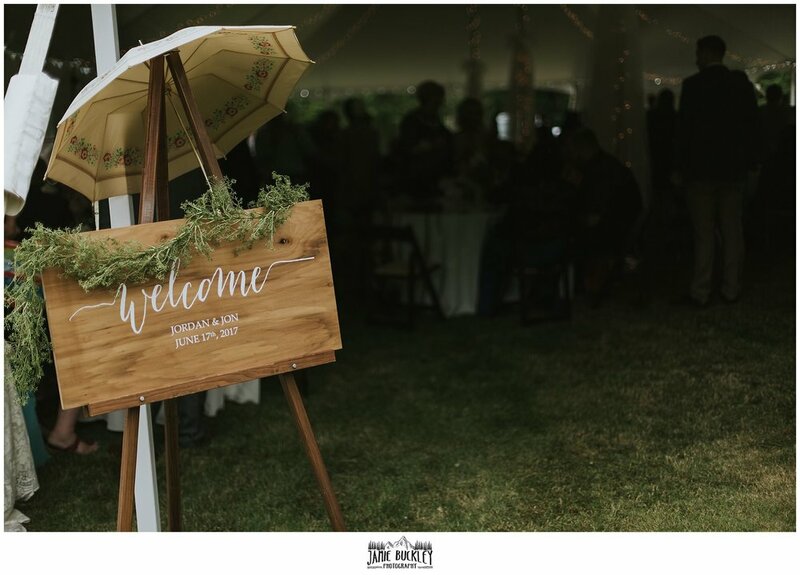 Older PostJeff & Lisa's beautiful ceremony at the Mukilteo wedding circle: Sneak Peek!